We went to our local Farmers Market here is southern AZ last Thursday for the first time and like you I kept thinking the prices were high but the quality could not be beat. There were samples of almost everything and the people were awesome to talk with. We picked up organic lamb chops (they were wonderful), hummis, two types of salsa, a watermelon, and an applie pie. Shared an eggplant parm sandwich while we were there Delish... We ran out of cash or we would have bought more. I'm glad you bought some arugula from endless harvest - it's so much better than anything you buy at the grocery store - even whole foods. I love going to the markets in Brussels! 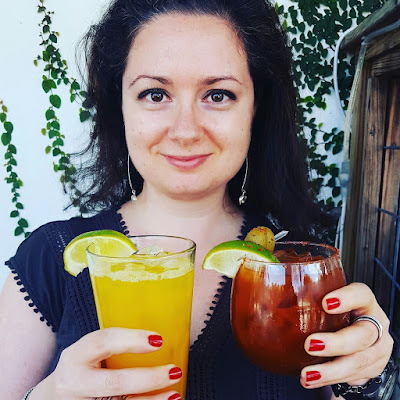 There is such a variety of local & not so local ingredients! We have some good eh excellent farmers markets here! I only buy local & in season ingredients! But sometimes I buy my exotic food at the Southern food market in Brussels on sundays! Here I can buy mango's etc. It is not pricy & it is lovely to discover more unusual ingredients! 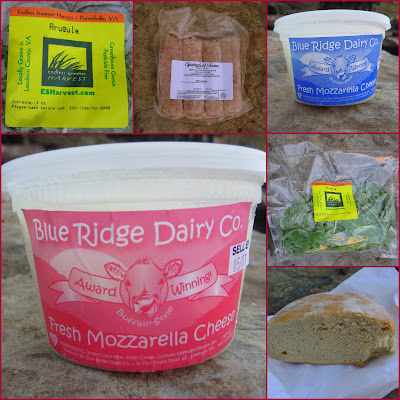 I have some of Blue Ridge Dairy's fresh ricotta in my fridge right now! I used some of it to make a honey ricotta cheesecake that's cooling - can't wait to try it! I bought mine at the Leesburg market, which was small but still had enough goodies to make it fun. I'm going to try the honey yogurt next week! Sounds delicious! And really, the cost is high in the short term... but seems like an inexpensive way to keep things going once you think about the big picture.